This courtyard building, overlooking stately trees and ivy-covered buildings, consists of thirty-seven beautifully renovated units. 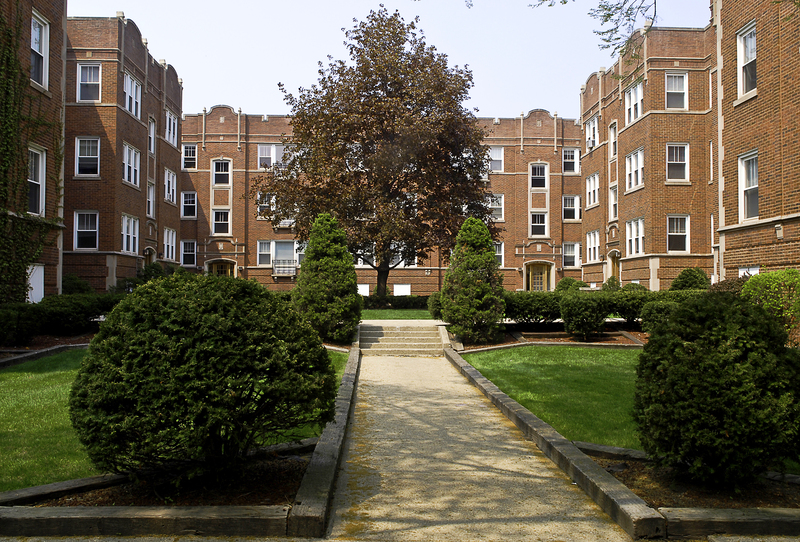 Conveniently located near CTA, Metra, and Northwestern University shuttle, area shopping, restaurants and amenities, these apartments let you experience the best of a true Evanston neighborhood. This elegant vintage apartment building offers one and two bedroom units with spacious layouts. Interior features include hardwood floors, well-proportioned bedrooms, contemporary kitchens and bathrooms, and new energy-efficient windows. Building amenities include secured access, heated garages, off street parking, laundry facilities, personal storage units, and bike rooms.